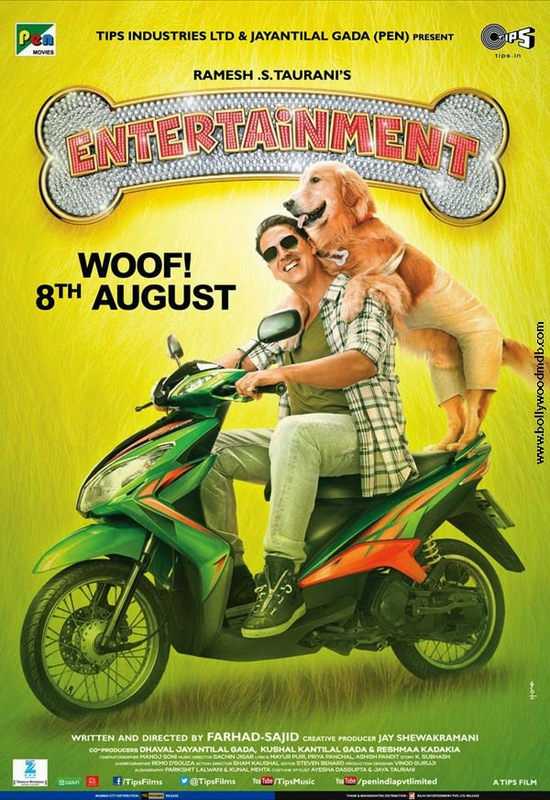 Plot : The film starts with Akhil Lokande (Akshay Kumar) getting paid for doing an ad, where he gets into a spat, as he wasn't paid the full amount of money that they had talked about. This continues with a few other ads, where Akhil constantly ends the spat when he gets a phone call, and says he has to go somewhere. He then arrives on a shoot where Saakshi (Tammannah Bhatia) is shooting for her television series. After her shoot lets out, they go for a walk around the park, observing other couples. At the end of their walk, Akhil proposes to Saakshi. Akhil and Saakshi go to her father's (Mithun Chakraborty) house, where they are told that until Akhil becomes rich, he can't marry Saakshi. Akhil goes to his film-obsessed friend's shop, where it is revealed that Akhil spends day and night working to keep his father alive, as he has heart issues. They go to visit the father Darshan Jariwala who turns out to have no pains, and is dancing around with the nurse, only staying in the hospital, because it has service like a 5-Star hotel. Akhil arrives just in time to hear this, and goes to beat up his father, when he reveals that Akhil is adopted and his real father wasn't ready for a child so his mother left, but was killed in a train crash. Luckily Akhil survived, and was sent to his adoptive father. Then Akhil beats him up. He goes back to his house, and opens the chest that he never had before, which contains love letters from his real father, to his mother, and a locket with his father and mother's pictures. He discovers that his father is Pannalal Johri Dalip Tahi who is a billionaire in Bangkok. Right as he finds this, on the television comes news that Pannalal Johri is dead and his 30 crore's will go to anyone who can prove that they are related to Pannalal Johri.